Clayton John Ainger is a Certified Professional Speaker, Performance Coach and Business Consultant with over 15 years experience in business, developing people and transforming performance. He is the author of the multi-award winning and bestselling book: The Ego’s Code – Understanding the Truth Behind Your Negativity. From once being a Corporate Tax specialist with Deloittes, he is now a sought after international consultant and speaker who works with Senior Leaders and Executive Teams helping to create engaging cultures, transform performance and achieve sustainable growth by unleashing passion, nurturing natural talent and bringing vitality to the workforce. Clayton specialises in understanding the reasons for negativity, and why it causes people and companies to sabotage success, relationships, health, well being and finances. In his work, he helps individuals, teams and organisations overcome the negativity that stifles progress by explaining with solutions the effects on the physical body, the mind and how it interacts with and impacts on life, business performance and corporate cultures. 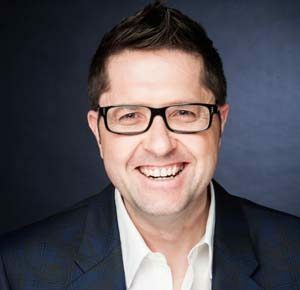 His work consistently delivers significant business impact, ROI and positive bottom line benefits including, for example, the following results from three different clients – a 40% increase in employee engagement, £166: £1 ROI from a series of corporate training events and an average 30% increase in profitability across all contracts. Clayton works with a variety of companies in both the Public and Private Sectors from owner managed businesses through to FTSE 500 and Fortune 500 companies such as EE, O2, The Lloyds Banking Group, BT, Rackspace, EasyJet, Severn Trent Water, Hewlett Packard, the UK Ministry of Defence and The British Embassy, just to name a few. Every year Clayton spends on average 1200 hours front of room speaking, training and facilitating. His thought provoking questions, in private dialogue and stimulating classes help individuals, teams and companies to grow beyond boundaries of their perceived knowledge and capabilities, so they achieve their true hearts desires. Clayton has been described as having an engaging and down-to-earth style that enables him to build rapport quickly with audiences and individuals at all levels in an organisation. His strength lies in an ability to embrace, simplify and bring order to complexity – transforming the complex into easy manageable steps that you can use to ensure your desired results are always achieved. Clayton offers a series of events that show you how to make ‘the step change’ necessary to achieve unimaginable results for your life and your business! Resistance and Negativity – The seed of destruction or the route to greatness? Where is your leadership shadow leading others…? To glory or to destruction? The New Corporate ELITE…discover the magic behind their leadership greatness!